Old North State Politics: Now...What's Next in North Carolina's Ninth? To say it has been a wild ride in North Carolina politics for the past two weeks would be a significant understatement. The allegations made in the Ninth Congressional District has rocked this state and will continue to do so as the North Carolina State Board of Elections finalizes its investigation into irregularities with absentee ballots, or what we might call the Bladen Ballot Betrayal. The total voting irregularities (508) amount to 0.0001 percent of the total ballots cast. 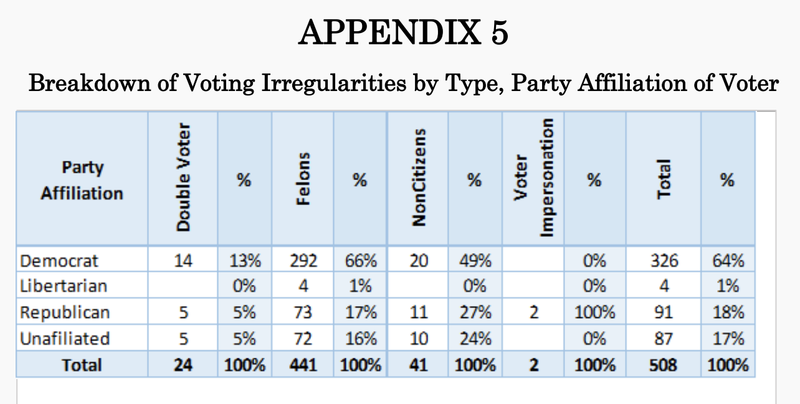 And, if you take out felons who may, or may not, have known they were ineligible to cast a ballot, you are dealing with 67 ballots out of 4 million cast in 2016: 24 of "double voters," 41 non-citizen, and 2 voter impersonations. Of the 67 irregularities, 51 percent were from registered Democrats, 27 percent from registered Republicans, and 22 percent from registered unaffiliated voters. What the Ninth Congressional District allegations are constitutes election fraud: a willful attempt to circumvent, manipulate, destroy, or otherwise impact a legal ballot cast by a legal vote to impact the election outcome. So, what's next in the process? After the NC State Board of Elections sets an evidentiary hearing and the professional, non-partisan staff presents its findings, the nine-member board, made up of four Democrats, four Republicans, and one unaffiliated registered voter, will deliberate and consider the evidence, whatever it may be. In their decision, the state board is authorized to consider two main options: certify the election, or consider a new election. That the Board has the discretionary authority to define, in condition (4), several key words: "irregularities" (what does that mean, per the Board? ), "improprieties" (what does that mean? ), "taint" (what does that mean? ), "cast doubt on its fairness" (again, what does that condition mean?). As my students are prone to do with setting the 'ground rules' or 'definitions' of terms, one can use Webster's Dictionary to provide the meaning and context behind these key words, such as irregularities, improprieties, taint, doubt, and fairness. But ultimately, it will be the State Board of Elections, and specifically five members, who will need to review the evidence, consider the circumstances and the above words, and define for themselves whether these allegations of improprieties and irregularities (which, as a personal statement, I believe has occurred in the Ninth based on what we know so far) warrants a consideration of the election being tainted and casting doubt on its fairness. OK: let's say the State Board calls for a new election. What's next? Again, we look to the same NC General Statute to see how new elections are called. First, it is likely that the State Board would call for a new 'general' election. The primary election has already been certified and officially determined, meaning that the likelihood of overturning that election is extremely difficult. So would the candidates be? The three general election candidates--Republican Mark Harris, Democrat Dan McCready, and Libertarian Jeff Scott--would return to the ballot for a campaign and election. When might this be held? That is a great unknown at this point. It is likely that the election will have to be set after the new year, due to an appropriate time for "publication of the notice, preparation of absentee official ballots, and the other actions necessary to conduct the election." Again, this is completely up to the State Board of Elections' discretionary authority. Where would the election be held? While allegations are mainly centered on Bladen County and potentially Robeson County, the election would be held in the entire Ninth Congressional District, again, based on statutory language ("The new election shall be held in the entire jurisdiction in which the original election was held."). Who could vote in the election? Again, statutory authority (Section (c)) lays out who will be eligible to cast ballots: "Eligibility to vote in the new election shall be determined by the voter's eligibility at the time of the new election, ...". Meaning, that any eligible voter in the Ninth Congressional District, even if they didn't vote in the November 6 election, can cast a ballot in the new election. Nearly 283,000 voters in the Ninth cast ballots out of 536,000 plus registered voters in the Ninth (for a registered voter turnout rate of 52.7 percent). So, let's say that the State Board of Elections does call for a new election. 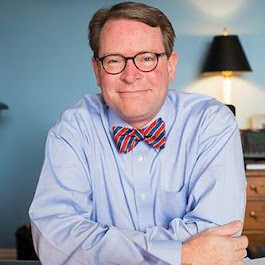 At some point, likely in either late February or March, a new election will likely be held, but we have to await the findings and decision by the State Board. But what if the State Board decides not to act? That scenario is within their discretionary authority, and the board could simply certify the election and have Republican Mark Harris declared and certified the winner of the election, and thus transmit his election certification to the U.S. House of Representatives. However, the U.S. House, under Democratic control come January, has already indicated, through its leadership, that they will have their own voice in this process of the NC Ninth. What can the U.S. House of Representatives do? Through research done by the Congressional Research Service, a recent report outlines the process and procedures for "contested election cases" in the U.S. House of Representatives. I'll take a similar approach, as I did for the NC State Board of Elections process, and lead folks through this process, but for more context and further information, please consult the CRS Report. How can the U.S. House interject themselves into this process? So, those thinking that one campaign or candidate could appeal to the federal courts to deny the U.S. House's interjection into this situation--save your breath and legal fees. With the expected House leadership within the Democratic Caucus already sending signals that this process would begin, there are two formal methods by which the House can investigate a charge of a contested election: one, the losing candidate (in this case, Democrat Dan McCready) can lodge a notice under the 1969 Federal Contested Elections Act, or, the second method, is to have a member-elect challenge the seating of another member-elect. What process would the U.S. House take in reviewing the NC Ninth? Once the notice or challenge is formally made, the action moves to the U.S. House committee with jurisdiction, the Committee on House Administration. An investigation by the House Administration Committee would be conducted, by calling witnesses, requesting or subpoenaing documents and records from the state, and holding hearings, even to the point of examining the contested ballots. So what can the U.S. House ultimately do? move that the "the returns from the election be rejected and that the seat be declared vacant and a new election be held." 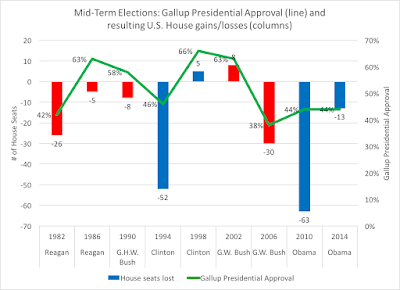 As the CRS Report notes, the last action is the most drastic form of action the U.S. House of Representatives could take, and this would mean that the entire election--both primary and general--would be conducted again, having an open filing period for the party primaries and then a subsequent general election. If this was to happen, we would like be looking at a much longer campaign cycle, stretching well into the spring. But what happens to the Ninth Congressional District seat in Congress in the meanwhile? Unless one of the candidates is seated, the seat will be vacant. A smaller staff will continue to aid constituents in the Ninth District with issues and concerns, but their work will be under the House Clerk's Office until a member is seated and that member can hire their own staff. We will have to await the evidentiary hearing by the NC State Board of Elections to determine which process is most likely triggered.